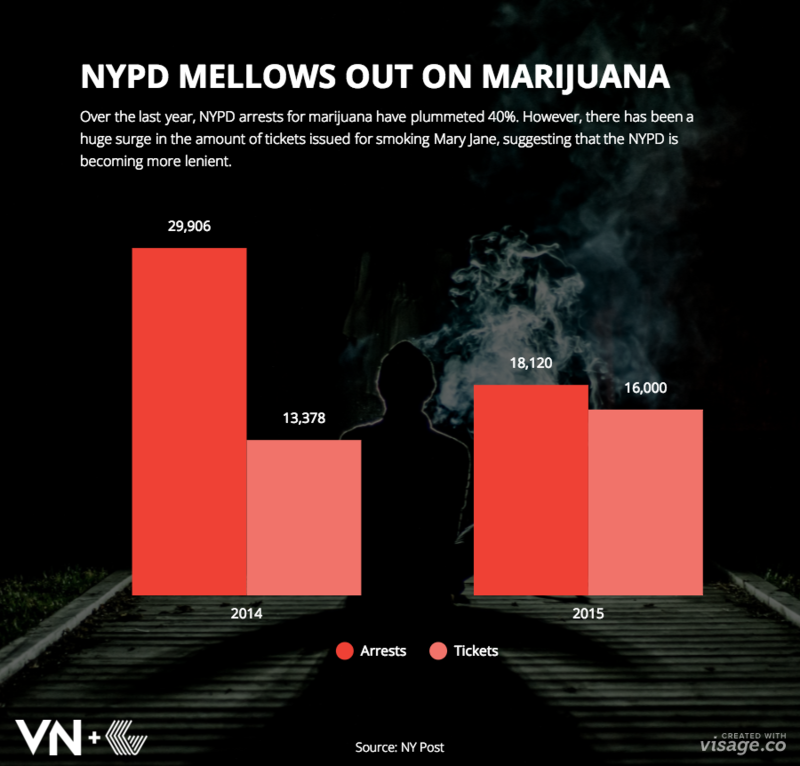 The NYPD seem to be following Mayor de Blasio’s suggestion of relaxing on marijuana possession arrests. As of October 20th, New York’s finest have arrested 18,120 for marijuana possession. That’s a 40% reduction from the previous year of 29,906. While total marijuana arrests have decreased, the amount of tickets issued has increased dramatically. In 2014, the NYPD issued 13,378 tickets, but are on pace to issue nearly 16,000 tickets this year. That’s a 23% increase in tickets. City Hall ordered cops last year to ticket suspects they caught with 25 grams or less of marijuana instead of arresting them after district attorneys and activists clamored for drug decriminalization. Take a look at the shift in our microcontent example below.